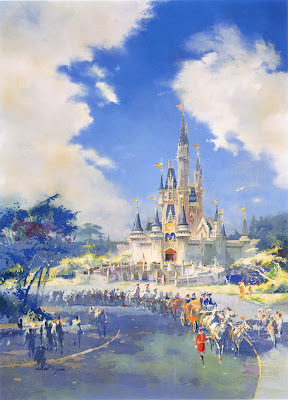 This week is a special Tokyo Disneyland week on Disney and more! 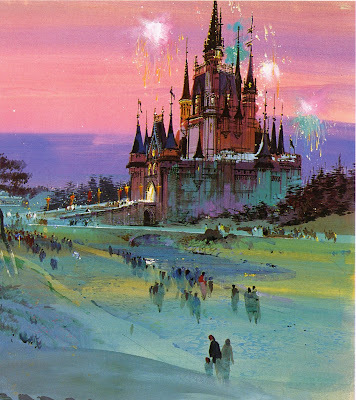 After the first part of Tokyo Disneyland Halloween season on monday - and part two coming tomorrow, the artwork article of the week, so, is dedicated to TDL. Don't forget to double-click on each picture to enjoy them in big high-res size. 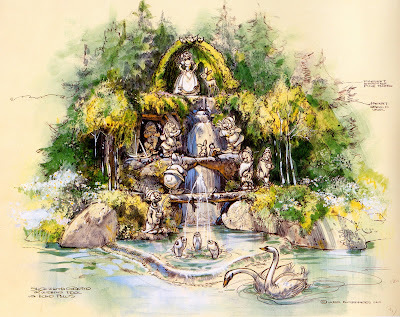 Above and below a Herb Ryman early concept design for Tokyo Disneyland surrounded an American theme park with a Japanese atmosphere. World Bazaar concept-art: Reminiscent of Victorian exhibition architecture, a graceful canopy was created to schelter World Bazaar. Soaring 51 meters above the plaza, Cinderella castle at Tokyo Disneyland. 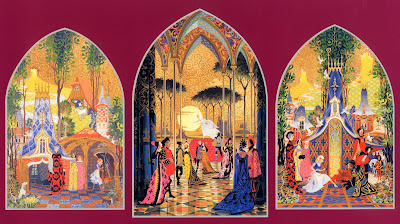 Cinderella castle murals: this shimmering Tokyo Disneyland mosaic was based on the original one created for Florida's Magic Kingdom by WDI artist Dorothea Redmond. Stunning artwork. Thanks for sharing!